Baroness -Trish- Morris of Bolton is a Conservative peer and was Vice-Chairman of the Conservative Party from 2001-2005, with responsibility for candidates. She entered the House of Lords in 2004, where she is a Deputy Speaker and Deputy Chairman of Committees. She held a number of shadow ministerial roles, including Education & Skills, Children, Schools and Families and Women, before standing down from the Front bench in 2010 at her own request. Trish is Chairman of the Conservative Middle East Council, Chairman of the All Party Parliamentary Group for Qatar and Vice-Chairman of the Britain Palestine Group. A former trustee of UNICEF UK, Trish is President of Medical Aid for Palestinians and has just completed her term of office as the first Chancellor of The University of Bolton. 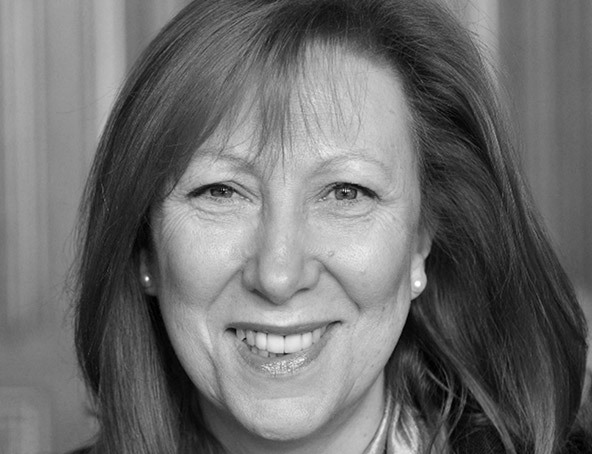 Trish is President of World Travel Market and sits on the Advisory Board of TSL Ltd, which publishes TES and the Times Higher. Emma has been a member of the Society since it was born, she also served as the Honorary Secretary for a number of years. Emma was born in Jordan and spent her early life in Amman. Having worked for Royal Jordanian Airlines all her working life, Jordan has always been a very important and special place in her life. Honorary Treasurer of Anglo Jordanian Society(AJS) for the past 10 years. In the last 21 years David has been in the Accountancy profession and is now semi-retired. David visited Jordan with the AJS in the year 2000 and fell in love with the country and its people which brings alive the work we do through the AJS children’s charities in Jordan. Mais is a professional networker with a wide European and Middle Eastern experience combining technology, innovation, markets and economic development. Currently, she is the Director of Finnaddin Limited. Mais works in collaboration with governments and the private sector to support economic growth, drawing upon best practise from across the world. Mais also has several years’ experience of working closely with multinational clients and developing successful business opportunities, with a particular focus on the Advanced Surface Coatings and Construction Chemicals Industries. Debbie is the CEO of Brighter PR who is the Jordan Tourist Board in the UK. Brighter PR has been running the JTB account for the last 14 years. Hassan Dajani is a retired architect, with much experience in commercial and residential projects. Hassan resides in Roehampton and spends his time with his family and is an avid tennis and golf player. Dr Robert Bewley PhD is a trained archaeologist and the Director of the Endangered Archaeology in the Middle East and North Africa project at the University of Oxford. He was previously at English Heritage and then Director of Operations for the Heritage Lottery Fund. He has travelled to Jordan many times and, as an aerial archaeologist, has flown all over the country and produced the book (with David Kennedy) ‘Ancient Jordan from the Air’.